John Davis Kibler is remembered as a selfless leader who gave his life in the service of his country. He was born December 27, 1915, at rural Newton, IL, the son of John P. and Agnes Davis Kibler. The Kiblers moved to Arcola when John was a young child. His father drove a delivery truck for Schneider Bakery and the Kiblers later owned a grocery business. Because John started school at the age of five and then completed the first three grades in just two years, he was able to graduate with the Arcola Township High School Class of 1932 at the age of sixteen. At ATHS he was a four-year honor student, member of the Varsity Debate team and also sang with the Glee Club. John played trombone in the band, participated in both Junior and Senior class plays and was also an active Boy Scout. In the six months following his high school graduation, John traveled throughout Europe with his uncle, John Davis, who was a sales representative with the Libby McNeil Company. He returned to Illinois to begin his studies at the University of Illinois, where he was an honor student and member of the Accountancy Club, Coast Artillery Club and captain of the University Brigade. While at the U of I, John was a member of the R.O.T.C. reserve corps and held a commission as second lieutenant in the coast artillery. 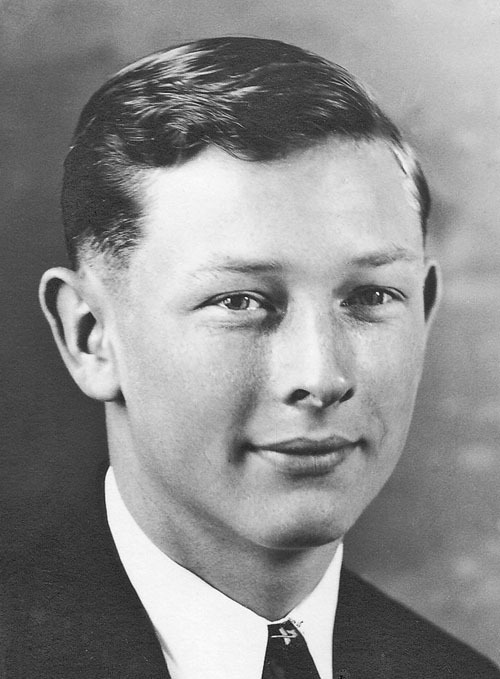 As a college student in the years of The Great Depression, he worked in a Champaign grocery store and also hitch hiked to Arcola on weekends in order to work at Schneider Bakery and Elmer Cook’s grocery store. John and ATHS classmate, Jeannette Cook, were married in Decatur August 14, 1936, prior to their U of I graduation on June 14, 1937, when John received his B.S. in Foreign Commerce. John and Jeannette returned to Arcola and their son, Jon E. “Skip”, was born May 2, 1938. John resumed work in the grocery business with his father-in-law, Elmer Cook, and continued his military training at Fort Sheridan summer camps. John was then called to service with the U.S. Army Air Force May 2, 1941. 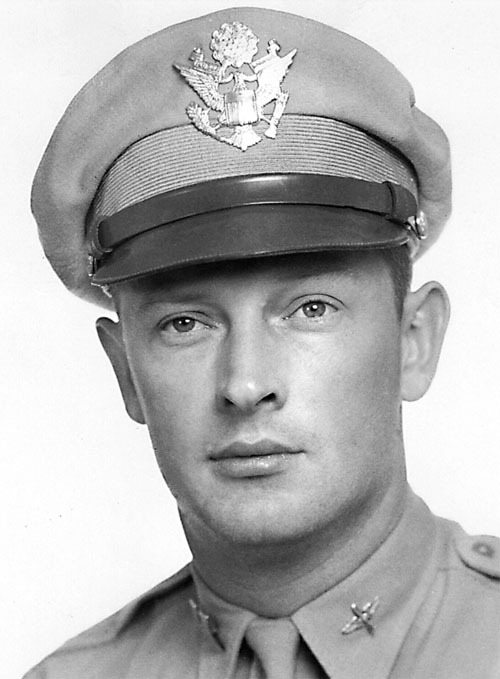 He was transferred to Air Corps Ground Officers and assigned to Lowry Field, Denver, CO. Kibler was next transferred to Sheppard Field, Wichita Falls, TX, and was promoted to first lieutenant at that time. He was called back to the Coast Guard Artillery in August 1942 and served at Cape Charles, VA, until January 6, 1943, when he entered aviation cadet training. Kibler received his pre-flight training at San Antonio, TX, was transferred to Victory Field, Vernon, TX, and then to Army Air Field, Enid, OK.
Captain John Kibler received his silver wings October 2, 1943, as a graduate of the Army Air Forces Central Flying Training Command at Frederick Field, Frederick, OK, and was transferred to Tarrant Field, Worth, TX, for his B-24 transition training. He then received his training to fly a B-24H Liberator bomber at Gowen Field, Boise, ID. Kibler and his crew were assigned their B-24 bomber at Topeka Army Air Field, Topeka, KS, in early April and then left May 6, 1944, to join the war in Europe. As pilot of the 10-man crew, Kibler held ultimate responsibility for the safety and duties of his entire crew 24 hours a day. As aircraft commander, the efficiency of the crew as a team was dependent on his ability to lead. Kibler and his crew of the 15th Air Force, 55th Bomb Wing, 464th Bomb Group, 777th Bomb Squadron, flew 15-20 successful bombing raid missions from their base at Pantanella, Italy. Their July 8, 1944 mission was the bombing of Florisdorf Oil Refinery and Marshalling Yard at Vienna, Austria. Their Liberator bomber was loaded with maximum bomb tonnage and flew at one of the more vulnerable positions on the left side at the rear of the 27-bomber formation. Kibler and his crew encountered extremely intense and heavy enemy anti-aircraft fire in their 25-minute attack. After releasing the bombs, their bomber was attacked by an enemy fighter plane. One engine caught fire and the plane began to spiral out of formation. Capt. Kibler struggled to stabilize the plane, gave the command for his crew to bail out and then held the plane steady long enough for eight of his nine crew members to evacuate the plane. The eight crew members parachuted to the ground, were captured and imprisoned in German war camps for the duration of the war. Kibler and his waist gunner crashed just west of Parndorf, Austria. On July 20, 1944, Jeannette Kibler received a telegram from the War Department stating her husband had been missing in action over Austria since July 8th. She received a second telegram from the War Department on August 8th stating her husband had died in the July 8th plane crash. John’s son, Jon, was just six years old at the time of his father’s death. Capt. John Kibler and his waist gunner were buried in the local cemetery near the location of their crash. Kibler was later interred in Ardennes American Cemetery at Neupre, Belgium. He is also memorialized on a limestone tablet at the entrance to the University of Illinois Memorial Stadium, as well as his parent’s tombstone in West Lawn Cemetery at Newton, IL. Kibler was posthumously awarded the Purple Heart and the Air Medal for Meritorius Achievement. His unit received a citation for its outstanding performance during the July 8th mission. It has been more than seventy-three years since Capt. John D. Kibler gave his life so his fellow crew members might live and also relate their stories of his heroism. He is now survived by his son, Jon, two grandchildren, five great-grandchildren and his younger sister, Rose (AHS Class of 1946), who continues to share her memories of her heroic brother with the Kibler family.